Today 18 of my favorite fellow Pro Bloggers are sharing their “Best Online Marketing Strategies for 2019” and what they have learned during the past year which helped them grow their business. “What was the one blogging or online marketing strategy you implemented in 2018 which was really worth your while? What will continue to help you grow and succeed with your Business in 2019? And wow, I am just blown away by the amazing responses I got. No one held back and every Pro Blogger really shared their best online marketing strategies for 2019! Down below you will find the best strategies with regards to scaling email marketing, finally figuring out SEO, how to use tripwire products and lead magnets to maximize sales and so much more. “Pinterest continues to be my best referral for blog traffic and continues to grow. I created more lead magnets and lead pages to use with Pinterest marketing and my blog. “There were two big blogging and online marketing strategy we implemented in 2018 that helped our blog grow immensely. Utilizing the Eisenhower Chart – Prioritizing our tasks this year helped us focus on the important things and outsource the less important things. “In 2018 I had a very rough pregnancy that didn’t allow me to spend as much time on my blog. I was forced to focus on the things that were most important and had the highest ROI. For me, the biggest one was setting up email funnels. I have opt-ins and freebies on my site that give a ton of value to my readers with corresponding email sequences that give them even more information and support them. During my sequence, I share affiliate products and opportunities to purchase my products which bring in revenue for my blog. “In 2018 I spent a lot more time engaging with my readers. In 2019 I will chat to people on social media, share snippets of my life through Twitter and Instastories and make sure I’m really making the effort to speak to people and support those who support me. “The one marketing strategy I implemented in 2018 that was well worth my time was Facebook ads. In November, I realized my business had finally grown to the point that I was ready for the next level and I could afford to make a significant investment in Facebook Ads. In the past month my business has taken off and I’m able to reach and help more people than I ever imagined. While Facebooks ads have helped me take my business to the next level, it’s important to note that prior to making this investment, I spent 2 years testing, researching, learning, and improving. For two years I focused all of my marketing efforts on Pinterest and SEO and grew my blog organically. I tested everything (headlines, images, calls-to-action, lead magnets) to figure out what worked and what didn’t. I launched products multiple times and used customer feedback to improve upon them. “The biggest marketing strategy I implemented in 2018 for my business were tripwire products. One part of a sales funnel is a front-end sales funnel in which you present your product at the beginning of the funnel. Usually, this product is a lower-priced product that you offer after a reader signs up to your email list. The process goes like this: the reader reads your blog post, signs up to your offer, clicks submit and then gets redirected to a one-time offer page. This page is a mini sales page with a countdown timer. The user usually has 10 or 15 minutes to decide to buy this tripwire product. I have implemented two tripwires for my blogs. Each product is either $7 or $9 and the product is a one-hour video masterclass. The idea behind a tripwire is that it warms up your audience to trust you and buy from you down the road. I find that many of my subscribers who took advantage of my tripwire product also bought my signature courses. “The one online marketing strategy that I implemented in 2018 that I’m definitely going to take forward and make more out of in 2019 acts as the foundation for every single piece of content I create. I created a solid content strategy to distribute and grow my brand’s content. I used to find content creation such a difficult and long process. Now I use this strategy that helps speed up the process and it’s helped me hit my biggest milestones to date. I even teach it to my clients and they love it too! “Out of all the strategies, tactics and techniques that I tried and perfected over the past year, looking back, the one that has brought me the biggest results was email marketing. Besides capturing my audience, so that my visitors are turned into loyal followers and buyers (and not just pointless pageviews), growing my email list allowed me to strengthen my bond and create a community around my business. “This may seem like an unconventional answer, but definitely one of the best things that have helped Coded Creative in 2018 (and overall in my business) is providing awesome customer service. “There have been two Strategies who have helped me a lot in 2018. Use as much warm-up content as you possibly can before a product launch. Create 3 epic blog posts full of helpful content or a case study around your product. Write emails for several weeks ahead of time getting people learning and excited about this topic, and do live videos on the topic too. You and your audience should be sleeping, eating, and breathing that particular topic before you launch your new product in the world. “The single most impactful strategy I implemented in 2018 that really delivered on the results was figuring out Pinterest. And I’m not talking about designing pretty pins and pinning, but really creating a stress-free strategy that delivers daily traffic to your blog. But, this on its own isn’t enough. Traffic that isn’t capitalized on isn’t really worth the stress. Instead of worrying about no one reading your blog, first ask yourself, “what happens when someone visits your website?” Do you have welcoming opt-in forms, a welcome email series, a thank you offer, and even a sales funnel? “2018 was a crazy year for Ladies Make Money Online in terms of growing the business. I focused mostly on my email list and providing valuable information to my readers as much as I could. This helped me connect with my clients more, make more sales in terms of affiliate marketing sales and helped me gain a more direct focus on which way I wanted to take the blog. 2018 was also the year I invested in my business. I spent a great amount of time connecting with other bloggers, learning and growing my talent. By doing this, I was able to really monetize my blog and streamline a process that worked. 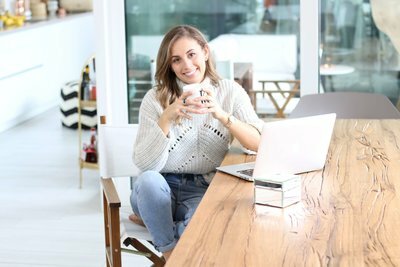 “2018 was the first year I was really focused on making my blog a business. A lot of little changes made a huge difference, but the three biggest shifts were joining a mastermind group, creating my own product and learning that some things should be outsourced. I now meet weekly with a mastermind group of four other bloggers at a similar stage to me. We share strategies, give feedback on each others’ sites, and are simply there for each other in the more difficult moments of entrepreneurship. Then, my first product, the In Case of Emergency Binder, has become the biggest source of income (and email subscribers!) for my blog. “The best thing I did for my blog in 2018 was only focusing on one project at a time. I used to be a hot mess trying to do all the things at once. I had so many ideas and kept hopping back and forth between them. There are so many possibilities for bloggers! Do you ever have a billion ideas floating around at once? I changed and instead implemented the 12 Week Work Year strategy and worked on one goal for 12 weeks before moving on to something else. This meant I actually finished and launched products for my blog! 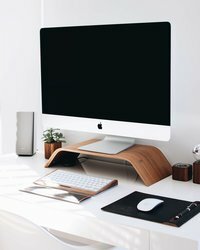 I wrote and published quality content that supported these products and helped me reach my one goal for the 12 weeks. It was my most productive year yet. “2018 was all about getting my “House” in order. After having loads of technical difficulties and setbacks with my blog, I took a recess! I audited my blog and assessed my strength and weaknesses. Then I turned my weaknesses into strengths. If I didn’t know enough about a topic, I took an online class. If I struggled with technical or IT stuff, I paid a professional to perform complex tasks I did not manage to understand in a reasonable amount of time. Investing in my business has been a very scary but rewarding process. It has pushed me to take matters even more seriously and my blog is finally turning into that amazing space I always envisioned. Finally, I also reassessed the return on investment of the work I performed on the blog. Wow, I am absolutely blown away by all the amazing strategies, visions and tips everyone has shared with us. If you have enjoyed this post on the Best Online Marketing Strategies for 2019 please share it on your Pinterest, Instagram, and Facebook or with your Subscribers! We are in this together, so let’s envision, manifest and work our buts off to make 2019 the best year for us Badass Bloggers yet! Thank you for an amazing 2018 and all of your support!